Maschine Life Empire artists Rawston George, Drewtyrell and Swerve tear down Harrisburg’s ClubXL stage for New Years Eve 2019 with Keyzus on the 1’s and 2’s. Alongside major acts like Exmag and Yam Yam, the night was amazing to say the least. 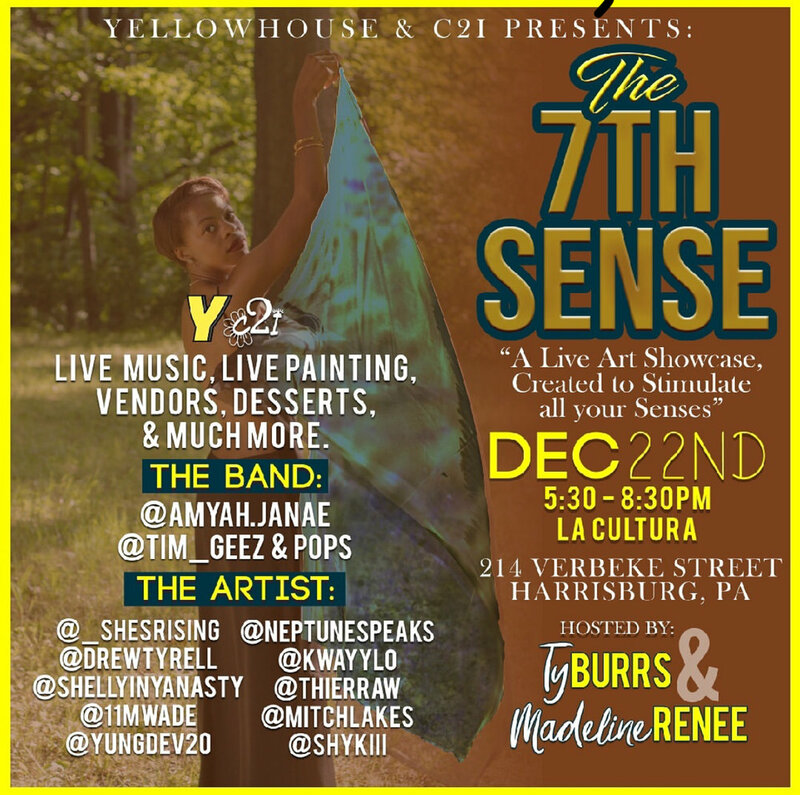 Check out drewtyrell Dec 22nd this winter season, live at La Cultura in Harrisburg. UNFORTUNATELY THIS SHOW HAS BEEN CANCELED. THANK YOU GUYS FOR ALL OF YOUR SUPPORT. Fresh out of Maschine Life Studios, Cordell drops a brand new project on the world. “This Ain’t That” is a compilation of fine calculated bars and home-hitting subject matter. Check out this release on all major streaming services. In the final phases of completion of his newest work, Rawston George decided to dial it back a bit for his real fans. You can now stream the Maschine Life God’s debut project “Raw Talent” on all streaming services. If you needed something to hold you over until what’s next or just tuning in, this is the one! Head over to your favorite streaming app and take a listen. Official video for New Merc Majah Single “Cocaina” shot by Keyzus. This week we're switching it up with a new blog getting people acquainted with the Maschines and our everyday grind and life. This weeks drop is another Keyzus produced banger by his nephew Bhibba and childhood brother Rawston George. The 8.28.17 drop comes from John Born and Tyrell over a Keyzus produced composition. Check it out and leave some feedback below. Todays song is by Maschine Life's newest member hailing all the way from Hawaii, Merc Majah. Check out his unique raspy vocals over some banging bass. We're back for #MaschineMondays with a banger for the squad. “Turnt”, produced by Drew Tyrell is perfect for the pregame and the turn up. Drew showcases lyrical finesse, and fellow Maschine LRDRA drips melodic flavors over an electrifying beat. “Bone chillin’ cold with my woes” repeats the catchy, mellow bridge. Download now and nod your head. This week we're bringing you a full cartoon by Keyzus featuring a few of the Maschines. You can also stream/download the song below. This weeks Maschine Monday drop comes to you by Drew Tyrell. Visual By Keyzus. Produced by Marpoe, Drew Tyrell & Keyzus. "THE FEELS" is a curated playlist featuring instrumentals that make you FEEL something accompanied by visuals to enhance that feeling. The instrumentals are produced by various producers. Email MaschineLife@gmail.com to submit and be considered for the playlist. #MaschineMondays = 1 song every Monday from a MLE artist for the next year... STARTING TODAY with "Talk Bands" x Rawston George (prod. By Keyzus). Enjoy. This video is just a small taste of what Maschine Life brought to the stage 4.21.17 at the Harrisburg Midtown Arts Center For Exmag's Ride or Die show.